If you require a powerful and energy efficient cassette unit the Mitsubishi FDT125VG air conditioner certainly fits the bill. The outdoor unit can be positioned up to 50 meters away from the indoor unit to allow installation flexibility, full four way control of the supply air is available with an advanced programmable controller which is included in the price. This model is available in different power supply options of either 240V single phase or 415V three phase. 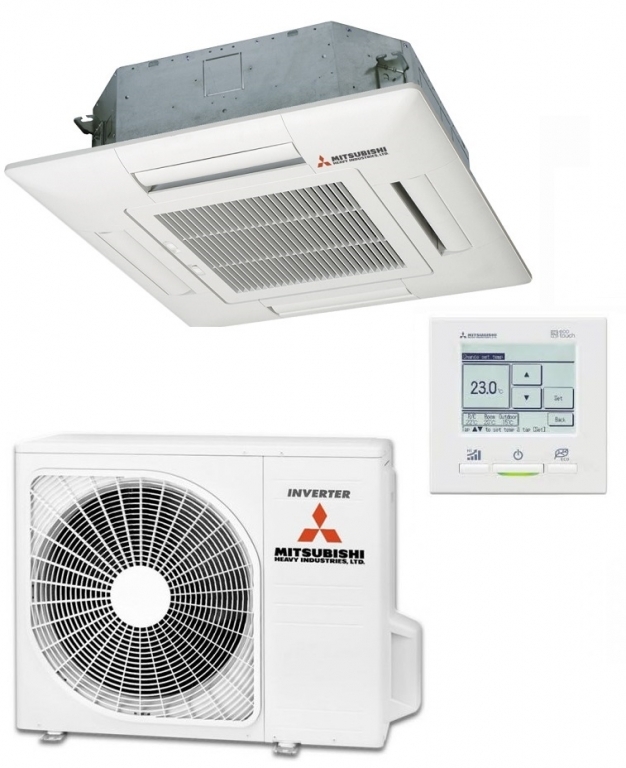 This system can provide year round temperature control with winter heating and air conditioning in the summer.